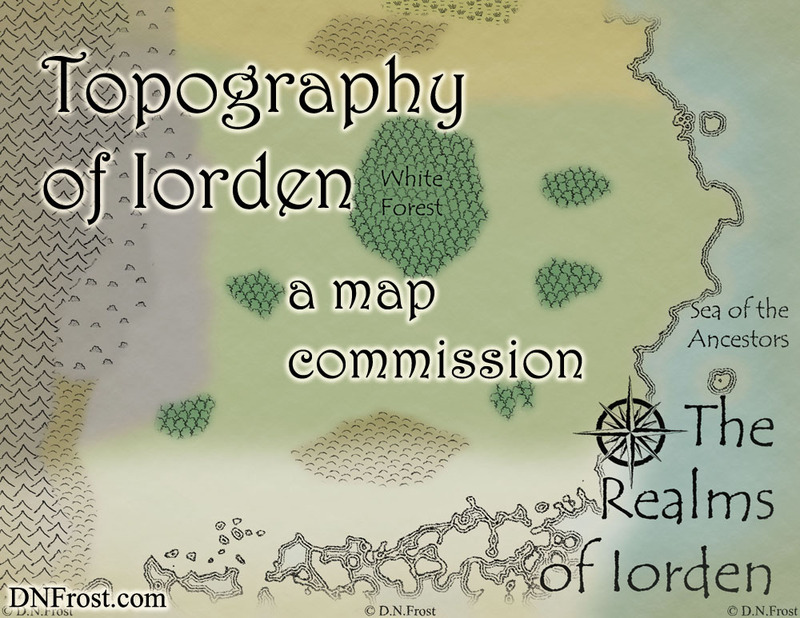 This post is Part 2 of a series about the Realms of Iorden, a map commission for the fantasy podcast TOAFN. Start with Part 1 here. After getting the go-ahead in Part 1 of this series, I worked with TOAFN creators Zach Glass and Christian Madera to start mapping their Realms of Iorden. They provided me with a thumbnail map of Iorden they'd made some time earlier, and I magnified the 300 pixel image to sculpt their coastline and apply rough topography swatches to their regions. 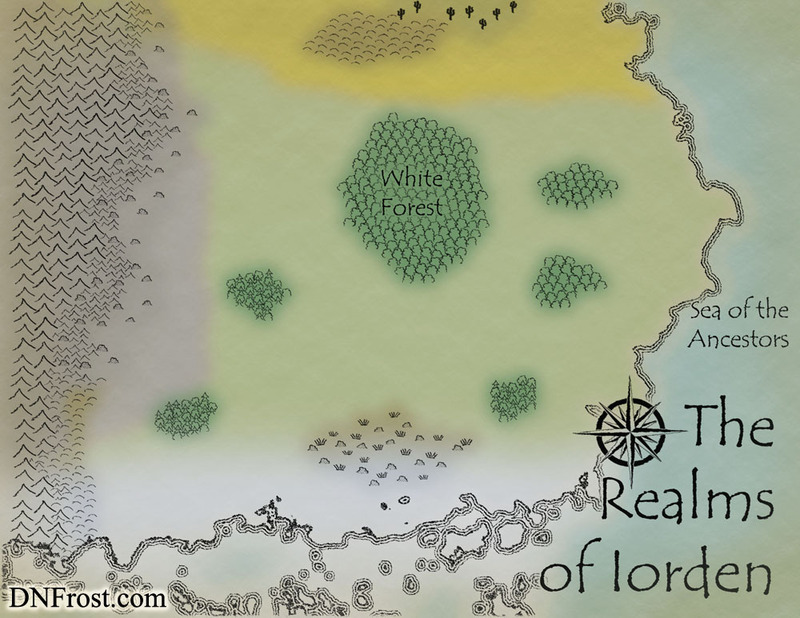 Then I applied some quick color to differentiate all the areas of the map, and I added some basic text. For working off a tiny image, I feel like I did a great job! The trouble with zooming in 1100% is that some blurry areas caused a few initial mistakes. The two big islands in the eastern sea? Those were actually tiny ship symbols. And that marsh on the northern edge of the desert? That was a swath of mini-cacti. To help me with the next render, Zach and Christian sent me a larger version of their old map. I innovated a cactus stamp for the desert in the north, and I tested out cacti swatches until I found one that looked decent. I also removed the islands in the eastern sea. The TOAFN creators broke up the southern coast, and they needed the hilly area in the south to be a marshy waste of broken stones - very specific topography I didn't have on hand. Fortunately, I had a marsh swatch and a broken wasteland swatch, so I tried overlaying them. After a few tests, I came up with a broken marsh that captures the eerie spirit of the land. I also changed some of the colder southern forests from fluffy oak trees to a hardier mix of oaks and pines.